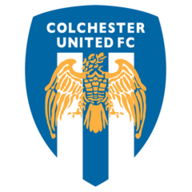 Early goals from Ashley Vincent and Mark Yeates were enough to secure victory for Colchester. Two goals in three minutes early on enabled Colchester to end the season on a high note with a 2-0 win over Yeovil. But they had to withstand constant Yeovil pressure in the second half as the Glovers hit back. Ashley Vincent, on loan from Cheltenham, scored his first goal for the U's after 13 minutes with a shot that skidded under the body of diving goalkeeper Chris Weale. Weale, outstanding since he joined on loan from Bristol City, was again at fault three minutes later when he allowed a shot from Mark Yeates to bounce over him inside his near post. Yeovil fought back bravely and just before the interval a cross from Andros Townsend looped off defender Pat Baldwin and over the crossbar for a corner. 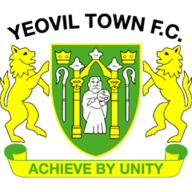 In the second half Yeovil must have realised it was not going to be their day when Dean Gerken brought off great saves from Jon Obika and Craig Alcock and on the one occasion Gerken was beaten a 15-yard drive by Gavin Tomlin crashed against a post.